I had a wonderful ride today. My friend brought along a lovely lady and her Horse "Zen". Perfect weather, wonderful girls to ride with. 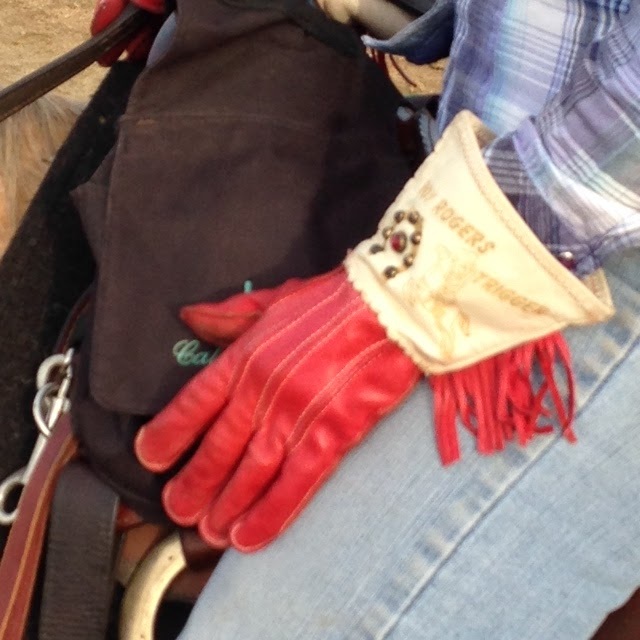 I was riding along side and looked down to see the vintage kid's Roy Rogers gloves that this gal was wearing! A girl after my own heart! I knew she was a kindred spirit then. How cute is this? Photo is a little blurry as I took it while riding Red. I wear gloves too, but nothing like hers!!!! 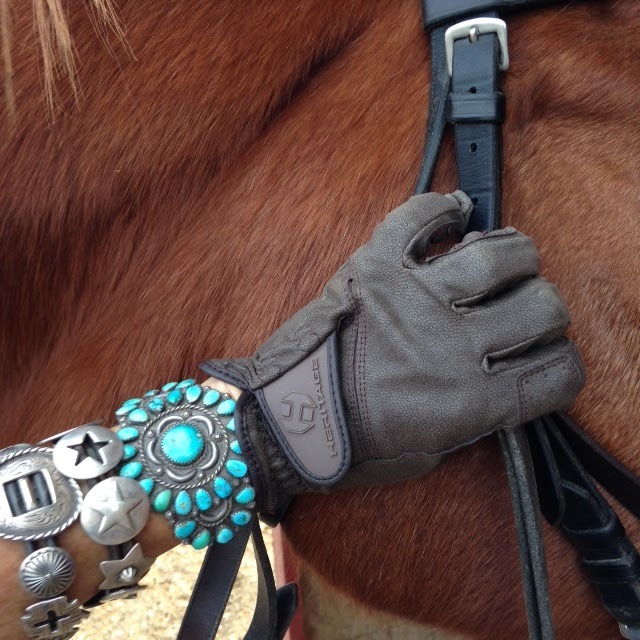 Perfect day for horsewomen in gloves!!! !